Product #17456 | SKU 9041680 | 0.0 (no ratings yet) Thanks for your rating! 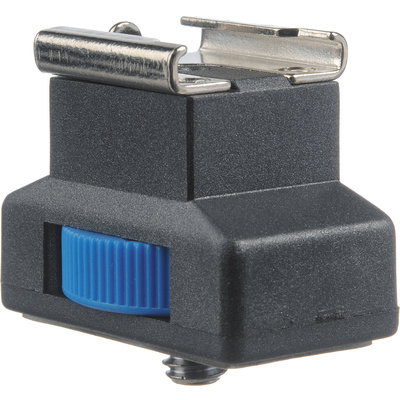 This Pearstone Accessory Shoe Adapter has a 1/4"-20 threaded stud on the bottom and "cold" flash shoe on the top, and is designed for use with an auxiliary flash or accessory. The locking ring affixes this shoe to the device you screw it in to. It is ideally suited for use with camera brackets, tripods, or light stand with a 1/4"-20 threaded socket.